HMH Books for Young Readers, 9780544313347, 40pp. Snow is coming, and it's time to get ready! The squirrel gathers nuts, the geese soar south, and the snowshoe hare puts on its new white coat. But what should the fox do? Each animal advises the fox that its own plan is best, but the fox thinks otherwise—yet it's not until he meets a golden-eyed friend that he finds the perfect way to celebrate the snowfall. 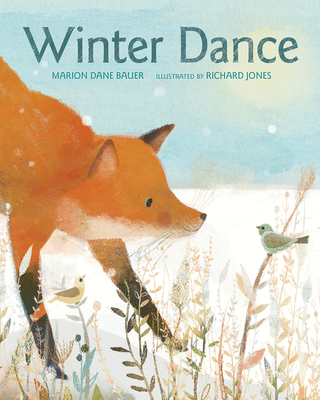 Stunning illustrations by the new talent Richard Jones are the perfect complement to the Newbery Honor winner Marion Dane Bauer's lyrical and playful homage to the natural world. ★ "Bauer’s verselike text pairs gracefully with smudgy and similarly understated scenes from British illustrator Jones: the text and artwork work in tandem to suggest the hushed onset of winter while carrying readers forward with the swiftness of a snow flurry."